Bruce Boston was born in 1943 and came of age in Southern California during the 1960s; the culture and politics of this background profoundly affected his worldview and his writing. A versatile and prolific writer, he is the author of more than forty books, including poetry and short fiction collections as well as novels. 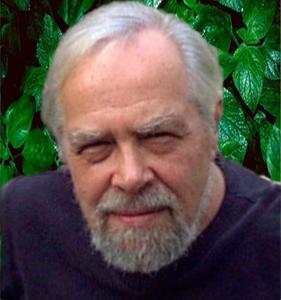 He has won numerous awards including the Pushcart Prize, the Asimov's Readers' Award, the Bram Stoker Award, the Rhysling Award, the Science Fiction Poetry Association's first ever Grand Master Award, and most recently the 2006 Stoker Award for poetry for his collection Shades Fantastic (Gromagon Press). He lives with his wife, writer and artist Marge Simon, in Ocala, Florida. A limited edition of his second novel, The Guardener's Tale , has just been released by Sam's Dot Publishing. JoSelle Vanderhooft: Although your substantial body of work includes novels, short stories, and "mainstream" poetry, many think of you primarily as a speculative poet. As many readers are unfamiliar with speculative poetry, could you talk a bit about this term? Bruce Boston: The term denotes poetry that speculates on the nature of reality, perception, language, the future, and almost anything else. Mainstream poetry draws upon our consensual reality of the everyday world for its content and backdrop. Speculative poetry is drawn from the imagination, the world as it might be. Much of speculative poetry is genre poetry in that it derives its images and tropes from science fiction, fantasy, and horror. The best speculative poetry extrapolates from its genre origins to create novel ideas and viewpoints that not only speculate about the world as it might be, but in doing so, reflect upon the world as we know it. JV: What draws you to the speculative in poetry? BB: All writers are a product of their influences, and one of the primary influences on all writers is reading. We tend to emulate the works of other writers that we most enjoy reading, and we learn to write to a large extent from those works. In my formative years, I became enchanted with science fiction and fantasy literature, authors such as Bester, Vance, Howard, Merritt, Norton, Clarke, Asimov. Even in mainstream literature, my tastes have always tended toward the more fantastical writers: Kafka, Grass, Pynchon, Edward Whittemore. Why my early reading tastes were drawn in this direction I can't say for certain, though I think it had much to do with growing up in a relatively small conservative town where there was little of interest going on. I found the life and the world around me boring and discovered escape into other, more exciting and fascinating worlds. The entertainments and insights I found in fantastic literature are what made me want to become a writer. Consequently, I continue to be drawn toward the fantastic and speculative in writing as a means of creative expression. JV: Although genre is quickly becoming something of a passé term, is there still a specific genre of poetry that draws you more than the others, say science fiction or horror? A particular "type" of poem that you tend to write more of than others? BB: If you did a summation of my poems, I think you'd discover that I write more science fiction poems than fantasy or horror, but these genres can often overlap in a single poem. When I write, I don't approach it in terms of what genre I'm writing in. My poems arise from two sources, which also overlap. One more methodical, the other more inspired. Sometimes I get an idea that I feel can be embodied in a poem, and I set out to write a poem that expresses that idea. At other times, a phrase or sentence or description or storyline will pop into my mind, and a poem naturally evolves from it. In the first instance, there will be some inspiration involved in creating a successful poem. Likewise, in the second, part of the process is inevitably methodical. In neither case have I decided in advance that this is going to be a horror poem, or mainstream, or science fiction. Such categories evolve during the process and are not integral to the impetus to write. JV: With that in mind, much of your work has been classified as "surreal," or even "psychedelic." Do you think this is a fair assessment? How do surrealism and psychedelia lend themselves to speculative poetry? BB: I think the psychedelic assessment is a fair one, and obvious, since my mainstream novel Stained Glass Rain deals with coming of age in the drug culture of the 1960s. In the late 1960s and early 1970s, I experimented a good deal with psychedelic drugs, primarily LSD, not in the sense of partying with them to get high, but to experience the altered states of consciousness that Aldous Huxley and others had written about. They did provide such states, and had a profound and lasting effect on my view of reality. Thus it is not surprising that they should find their way into my writing. Apart from Stained Glass Rain , I can think of prose passages and poems I have written that reflect experiences I had, both positive and negative, with psychedelic drugs. Because psychedelic drugs create states of perception vastly different from everyday perception, they lend themselves well to the creation of speculative work. Surrealism also looks at the world in a different way than the everyday. The art of Salvador Dali has probably had has much influence on my writing as the work of any individual writer. However, although I often use imagery that is surreal in both poems and stories, I seldom write entire poems that would be called surreal, at least not by surrealist poets. JV: You have the distinction of not only winning multiple Rhysling Awards, but of receiving the Science Fiction Poetry Association's first Grand Master Award. Can you speak a little bit about the importance of such awards to speculative poetry? BB: Such awards are usually announced widely, and to that extent, they give speculative poetry more visibility, providing publicity for both the form and the organization that is sponsoring the awards. I'm sure there have been many individuals who were unaware that speculative or genre poetry existed until they saw someone had received an award for it. Speculative poetry awards also serve to provide recognition and exposure for authors who have accomplished an outstanding achievement in a field where there is seldom much in the way of financial remuneration. JV: Let's go back to your early career in the 1960s and '70s. When you started out, did you consider yourself to be a poet, a fiction writer, both, neither? BB: I planned to be a fiction writer. When I first started writing poetry it was partly for fun and partly due to time constraints. I worked as a computer programmer for several years after college, and I found the work too demanding to sustain writing fiction at the same time, particularly longer fiction. Over the next decade, the poems that I wrote received more positive response than the stories I was turning out. I think most people gravitate toward the areas in which they find success and approval, and I'm no exception. Although I've never stopped writing fiction, and have published more than a hundred stories, one novel and another forthcoming, poetry became the central concern of my writing efforts for many years. It's only been recently, now that I'm retired and have the time, that my emphasis is again shifting toward fiction. JV: What themes attracted you then, and have they continued to draw you throughout your career? BB: The subtitle of my first story collection Jackbird (1976) is Tales of Illusion and Identity . The subtitle of my best-of fiction collection Masque of Dreams (2001) is also Tales of Illusion and Identity . This would seem to indicate a consistency of themes, but it's also an oversimplification. Although much of my work explores questions of personal identity, illusion, and transformation, I've also penned works that are primarily sociopolitical in nature. My "accursed wives" and "accursed husbands" poems explore male-female relationships through archetypal figures in science fiction, fantasy, and horror. My collection "Etiquette with Your Robot Wife" consists of list poems that have no overriding theme at all except humor. I've been writing and publishing for more than forty years, and that's been enough time to explore many different themes. JV: Moving away from poetry for a bit, many of your stories are set in the 1960s. In particular I'm thinking of your novelette Houses ( Masque of Dreams , 2001), which poignantly examines the drug culture of the time. Also, stories like "By the Dawn's Early Light" and "Burning Man" seem to touch on the horror and futility of the Vietnam War, even though they don't engage this war directly. How have the social and political concerns of the '60s influenced your work? BB: Attending an American high school in the 1950s and '60s, one emerged with a whitewashed and idealized impression of the United States as a country. Yet coming of age at that time one soon confronted the Vietnam War, civil rights protests, the women's movement, and environmental concerns. College history courses and additional reading also served to provide a more accurate picture of US history. I think the contrast was so great between the idealized version of the United States that I had been taught and the reality I began to perceive, that I was outraged, as many of my generation were. I was involved in numerous protests and marches in the late '60s, and those had an influence on me in my formative years just as psychedelic drugs did. I still view the political values of the '60s generation, and the causes then espoused, to be very relevant to the United States today. The similarities between the Vietnam War and the war in Iraq are too obvious to bother enumerating. Women have still not achieved equality. Racial and religious minorities are still persecuted. And the environment is a more major concern than ever. Though I seldom write with a specific political agenda in mind, it's only natural that my political beliefs, just as my moral values and philosophical beliefs, find their way into the poems and stories I create. JV: A fair number of stories in Masque of Dreams are told from women's perspectives, and the honesty and nuance with which you tell their stories is illuminating. What is the appeal of writing female characters? BB: The same as the appeal of writing male characters. Although gender has been the defining characteristic for most societies we know, it's not the defining characteristic for how I perceive individuals and or how I write about them. Being a person myself, I find people endlessly fascinating, and I write about what fascinates me. Certainly, any skilled writer of fiction, male or female, should be accomplished not only at portraying individuals of the other gender, but of other races, classes, religions, etc. JV: Many of your stories are based in history and in narrative styles more commonly used in the past. "Tale of the Dread Correspondent," for example, recalls the absurdity and paranoia inherent in Franz Kafka's and Edgar Allen Poe's work, and After Magic has the ambiance and the linguistic exuberance of a fin de siècle novella. How do you adapt older literary styles to suit modern concerns, and what is the appeal, for you, in doing so? BB: That's not how the process happens for me—adapting older styles for modern concerns—at least not at a conscious level. Whether I'm writing in the third person or the first person, I have many different writing voices in my head to choose from. The voice in which I tell a story or write a poem seems to evolve instinctually, and simultaneously, with the idea for the story or poem. Though it is true that in a final rewrite I will seek to remove any anachronisms or phrasing that do not seem to fit the voice telling the story. To address your question more directly, I think that modern fiction needs to move more swiftly for the reader than fiction of fifty or a hundred years ago. There is less room for detailed description and contemplative passages. Movies, and how we perceive them, have had a significant impact on how we read, and cinematic methods and effects in fiction are widespread today. JV: The language in your fiction is frequently lush, unusual, even poetic. This is a trend I have noticed in the work of many authors who are also poets. How do the skills you use as a poet overlap into the skills you use when writing fiction? BB: They overlap most at the level of syntax. In fiction, just as in poetry, language and how it flows is an important part of a successful creation. Some novelists, such as Nabokov and Lawrence Durrell, although not particularly known as poets, often turn out the equivalent of a poem every few pages through their rich and imaginative use of language. Others, such as Hemingway, avoid poetic language while still creating a syntax that flows smoothly and effortlessly for the reader. In short, the language skills employed in good poetry, the effort to make every word the right word, are also of great use in writing effective prose. JV: It seems that poetry of all stripes is currently undergoing something of a decline in American culture. These days, the presses that publish poetry collections are fewer in number, and mostly small or mid-sized—a far cry from a few decades ago when poets like Sylvia Plath attracted the attention of mainstream large presses. What do you think has caused this shift in cultural attitudes towards poetry, both mainstream and speculative? And what do you think it means for poetry's cultural importance for future generations? BB: There are so many reasons for the decline of reader interest in poetry that it would be easy to write a long article on the subject and perhaps even a book. I'm going to confine myself to one reason here, which has to do with the publishing of poetry. The first negative involves the rise of free verse, not free verse itself, but the mistaken notion that writing free verse does not require poetic skills in the use of language, i.e., that almost any string of words placed on the page in the form of a poem, can be considered a poem. This misconception by itself might have had little impact if it were not for the appearance of cheap quality offset printing in the 1960s and the '70s. Suddenly it was possible, for a few hundred dollars or less, to publish a literary journal or your own book of poems. Many individuals who had no experience as editors and no qualifications to be editors, began publishing their own magazines. Others, who had perhaps published two or three poems, and perhaps only written thirty in their lives, suddenly decided to take those thirty and turn them into a published book. The result was a deluge of average, mediocre, and downright terrible poetry, and to some extent fiction, appearing in printed form and entering the marketplace. That trend has continued until today, and with the onset of the internet, e-books, and print-on-demand publishing, has been given added impetus. In short, there is so much inferior poetry being published that not only does the quality work become lost in the deluge, but poetry as a whole gets a bad reputation and people cease to read it. JV: Your latest poetry collection, Shades Fantastic (2006, Gromagon Press), has just won the 2006 Bram Stoker Award. Tell me a little bit about the collection's genesis, and your reasons for including the poems you selected. BB: Oddly enough, this collection is composed of the best poems that were left over or didn't thematically fit after I put together a longer book of poems titled The Nightmare Collector . This second book, which was supposed to appear in 2006 from Wicked Karnival, has been delayed until summer of this year and will now appear under a Doorways imprint. The Nightmare Collector is a much darker book and more firmly rooted in the horror genre. This was the collection I saw as a possible contender for the Bram Stoker Award. Shades Fantastic , in contrast, is a mix of dark and light poems, and includes science fiction, fantasy, and mainstream work as well as horror. In composition, it more closely resembles some of my early poetry collections, such as Sensuous Debris or White Space . JV: One of the most prominent themes in Shades Fantastic for me was that of entropy, of human nature—and the world—moving towards an eventual state of collapse either through violence or just the routine ravages of time. How does this correspond to your views about the world and where it's headed? BB: A reviewer once analyzed a long poem of mine titled "The Crow Is Dismantled in Flight." He concluded, with extensive references to the form of the poem and its content, that it was clearly intended as an homage to Wallace Stevens. However, though I admire Stevens's work, he has not been a major influence on me, and I certainly didn't have him in mind when I wrote that particular poem. The point here is that once you publish a poem or story, you cease to own it completely. Readers can often interpret the work in ways you never intended. Sometimes these interpretations can provide added insight into your own work. I think you are closer to the mark with "entropy" than the aforementioned reviewer was with Wallace Stevens, but it was not my intention to make it an overriding theme in Shades Fantastic . Rather, I see the poems in the Shades Fantastic as reflecting a number of different themes that often dovetail into one another: racial history, individual memory, dreams and dream imagery, cities, music and art, illusion, fate, and admittedly entropy, in poems such as "The Death of Statues" and "All the Starry Audience." JV: The illustrations in this book were done by Marge Simon, who has illustrated and collaborated with you before. What's it like being part of a husband/wife creative team? BB: It's great! Marge has often illustrated my work. I don't think that strictly qualifies as collaboration. However, we have often collaborated on poems, flash fictions, and cartoons, nearly all of which have led to paying publication. Most of the poetry and flash fiction has come about when Marge gets stalled on something she's working on, shows it to me, and I contribute ideas and text to get it going again. We then pass it back and forth, making changes and additions, until we are both satisfied with it. The ideas for the cartoons generally come from me, or from both of us, and then Marge does the illustrations. The only other writer I've collaborated with extensively and with like success is Robert Frazier on our Mutant Rain Forest poems and stories. JV: It seems that 2007 is a busy year for you. Not only has Sam's Dot released your science fiction novel The Guardener's Tale , you also have an expanded reprint of the e-book you authored with your wife, Night Smoke (2002, Miniature Sun & Quixsilver) released from Kelp Queen Press, and your dark poetry book The Nightmare Collector from Doorways. Is there anything else in the works you can talk about? BB: Marge and I will attend a few conventions to help promote our forthcoming books: Oasis in Orlando, Florida and Necronomicon in Tampa, Florida this October. Besides our collaborative collection, Marge also has a book of flash fictions, Like Birds in the Rain , from Sam's Dot. I also hope to do some signings and possibly readings at Florida bookstores now that The Guardener's Tale has appeared. In addition to numerous small press publications forthcoming, I have half a dozen poems scheduled in Asimov's , and two flash fictions and a short story due in Dark Wisdom . Currently, I'm taking a self-enforced vacation from poetry to concentrate on fiction. I have several new stories in the works, and have already started mapping out another novel. JoSelle Vanderhooft is an articles editor at Strange Horzions and the author of several poetry collections, including Fathers, Daughters, Ghosts & Monsters and the 2008 Bram Stoker Award finalist Ossuary . She is the editor of several anthologies including Steam-Powered: Lesbian Steampunk Stories and (with Catherine Lundoff) Hellebore & Rue: Tales of Lesbian Magic Users . She lives in Florida.